car2go is carsharing on your terms - for the epic moments and everything in between. You can hop in a car whenever, wherever (with no reservations required) and leave it in the Home Area - no need to return it where you grabbed it from. Where you go in between starting and stopping is your adventure. Done with your trip? Park in any approved legal spot (for FREE) and go. Sporty and spacious – this small SUV has room for 5 people, plus added cargo capacity with a handy hatchback. It even has 4MATIC all-wheel drive and 50 vehicles in Portland come equipped with a bike rack. Stylish and fun – there's room for 4 in this 4-door sedan. Cruise around town in a smooth, comfortable ride – even everyday errands seem a little more exciting. With car2go, you’re in control of every mile and every minute. Unlike other carsharing services, you only pay for how long you’re actually using the car. What you don’t pay for: parking, fuel or maintenance. So go ahead. Get going. And PS: No monthly or annual membership fees. car2go offers you ultimate parking freedom. To end your rental simply park your car2go in any approved public, on-street parking space within the Portland Home Area. Even better: certain spots in Portland are reserved just for car2go members. Look for blue Ps on the app or 'car2go only' parking signs in the Home Area. The best part? Parking costs you nothing. Save your quarters for the laundromat. Unlock the car with a single tap and get on your way (the keys are in the car). End your trip using just the app. Refer Friends, Get Free Drive Time! If you are already a car2go member, and you refer a non-member to sign up for a car2go membership, you will receive $10 of driving credit per referral* and your newly signed up friend will get free registration + $10 of driving credit**! * Max of 10 referral redemptions, credit for the referred will expire after 45 days. **$5 off the current $5 registration fee+$10 of driving credit that will expire after 30 days. Here's how to reach car2go Portland - for any question, big or small. Send us an email at memberservicesNA@car2go.com or give us a call at 877-488-4224. Send us a tweet @car2goPortland or reach out to us on Facebook. 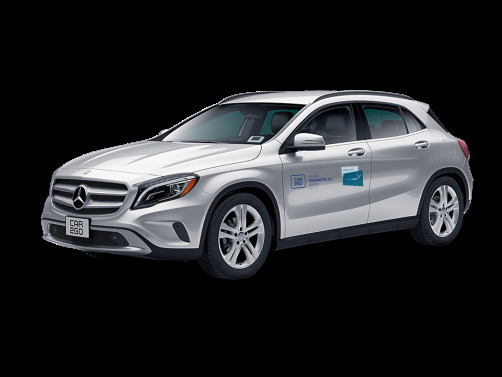 * car2go credit is applied to trips charged on the default payment profile, valid for 30 days (unless otherwise specified), and redeemable in the country in which it is granted. A taxable $1 Driver Protection Fee will be applied to each member’s first 200 trips of each calendar year. ** Enjoy for a limited time only. 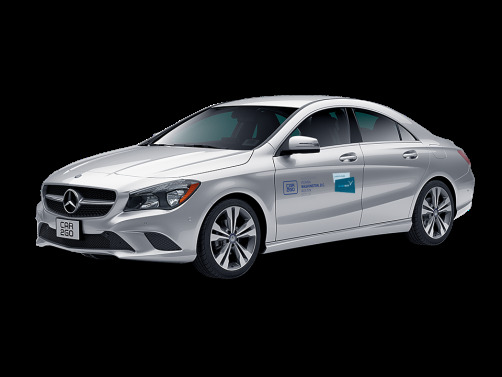 Standard Mercedes-Benz rate is $0.49/minute.